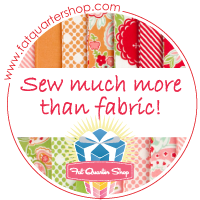 Ok, so this post isn’t about sewing. It’s not for lack of sewing though. I’m just so swamped busy, that I haven’t had time to blog. I completed a bridal alteration I’ll blog about after the wedding in April. I’m making custom baby gifts for a friend’s sister, I made a mug rug for a friend’s birthday, and I’m up to my neck sewing a navy blue floor-length formal to wear this coming Saturday night at the Texas State Daughters of the American Revolution State Conference in Houston – the bodice and sleeves are done but I’ve yet to cut the skirt. I’m using Vogue 8766, View F (like the girl in the picture),using Sure Fit Designs for fit, elbow-length sleeves and again, floor length. I’ve used a process to sew the satin underlay and lace as one. It’s working out great! The secret? Quilt Basting Spray between the layers. Even though I work outside the home every day, hubs and I hate to eat out so I make dinner at home and I usually make enough to take for lunches the next day. No, I’m not Superwoman but I don’t have kids at home and I’ve gotten pretty good at planning ahead. While I love my slow cooker, I was looking for a change. Awhile back, a co-worker was peddling goodies for his kid’s school fundraiser ( I hate the way schools pimp kids to sell stuff…I digress) and I bought a little spiral bound cookbook called “101 Things to do With a Casserole“. I love cookbooks like that. It’s right up there with Dinner Doctor. I perused the book and went shopping to stock up. I decided to do some experimenting with the recipes and discovered something pretty cool. You can use pre-prepped foods in casseroles and they turn out really good with some tweaking by decreasing of the amounts of water or milk required. I’ve started using frozen or boxed potatoes & rice mixes, pre-cooked meats, canned soups, and frozen veggies. There’s a TON of pre-made healthy and yummy things out there to choose from. And of course, never leaving well enough alone, I always add my own additional seasonings. So I’ve begun putting a casserole together in the morning and leaving it covered in foil in the fridge. Normally, hubs gets home before I do, so I leave a sticky note on the counter that says something like, “Casserole. 350 for 45 mins”. He dutifully does his part and I come home to a hot meal! Of course, he takes all the credit saying, “I cooked for you” and I roll my eyes and thank him. One of the benefits of this dinner prep method is I can use frozen veggies without them turning to mush like they would in my Crock Pot. So here’s what we had last night and it was DELICIOUS! If I had made this ahead of time, I’d of left off the Crescent Rolls until they are called for in the recipe. Prep time 20 mins. Bake time 35 mins. In a large pan, heat oil and add fajitas and mushrooms stirring occasionally. Once meat is hot, use kitchen scissors to cut the meat into bite-sized pieces in the pan. While the meat is cooking, in a small saucepan, heat soup & half can of water until a near boil. Using the soup can to measure another 1/4 can of water, add corn starch into the can and stir with a fork to smooth. Mix into soup and whisk until thickened to gravy consistency. Mix seasonings into soup gravy tasting along the way until you like it. Add vegetables to meat and pour the gravy over all. Mix thoroughly. Pour mixture into a 9″x 13″ casserole pan. Top casserole with cheese and bake for 20 minutes uncovered. Unroll crescent rolls and lay on top of casserole in a single layer. Bake for 15 more minutes until top is golden brown. Serve and bask in the hero worship you deserve for slaving over that hot stove all day. NOTE: You can make a Chicken Pot Pie using chicken fajitas and replace the French Onion soup with chicken broth seasoned with chicken bouillon. Enjoy!